Among the long story of Japan’s modernization dated back to the 19th century, Shimizu was one of the most important ports contributing to the development of the whole prefecture’s industry. Nowadays, blessed with fascinating natural scenery and splendid landscape, Shimizu becomes a must-visiting destination in Japan, especially Shimizu shore excursions are trending today. 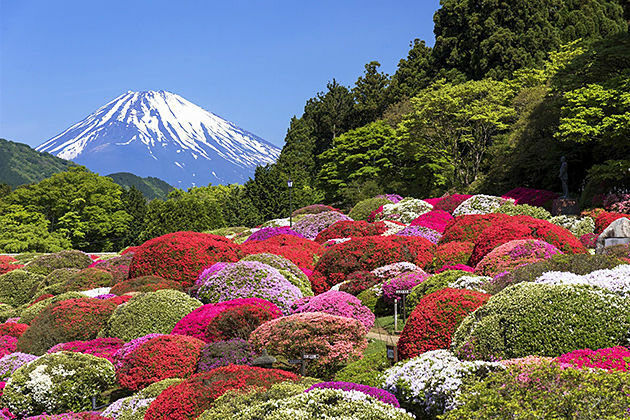 In Shimizu shore excursions, step by step discover the highlights of the city including magnificent Mount Fuji, black-sand Mihono Beach with lush green pine grove far away, Owaku-dani Valley with sulfurous fumes, hot springs, and hot air radiating, and shopping time in S-Pulse Dream Plaza. 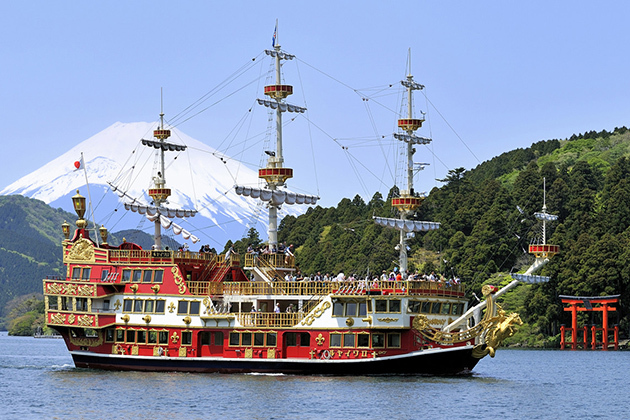 Asia Shore Excursions offers a variety of choices for Shimizu shore excursions, package day trips and tours for cruise ship passengers docking at Shimizu port, Japan to explore the city’s highlights and nearby attractions. If you do not find any suitable itineraries, please contact us and our Shimizu shore excursions’ experts will help you customize a tour that suits your price and interests. One of the hottest ports in Japan, Shimizu, is a dream city for exploring Japanese culture, history, and landscape. A Shimizu shore excursion includes various worth-visiting places that we have summarized in the list below. 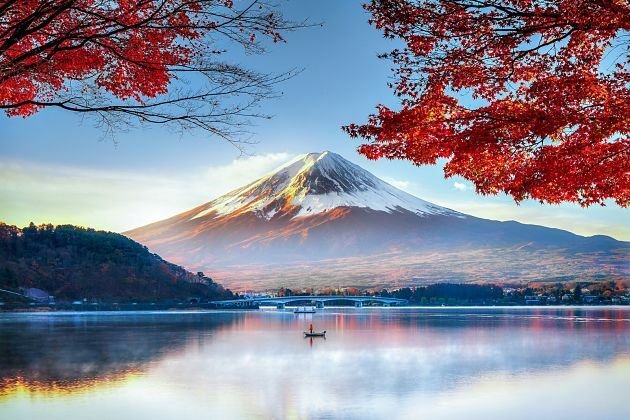 Mount Fuji – an active volcano - is the highest mountain in Japan with the height of 3776 meters. The perfect cone shape has gone deep in the traditional art of this country revealing in paintings, folk songs, dances, and so on. The image of the gentle mountain with pure white snow covering the top is always one of the most popular symbols of Japan, both in spiritual and material life. The last time Mount Fuji erupted is in 1707. However, sometimes this area is closed due to safety ensuring for visitors. The recommended time to enjoy Shimizu shore excursions coming to admire the mountain is early morning or late evening in autumn when the sky is clear and lack of rain, especially during July and August. Colder weather, not snowy days, provide a better view over the mountain than in summer when clouds can dominate your vision. 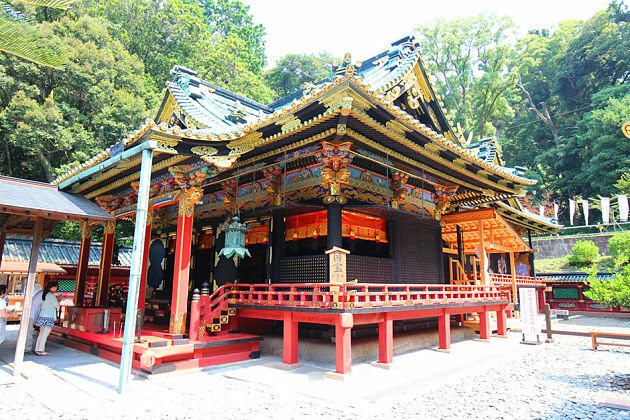 A land respecting the worship convenient like Japan has various sacred sites along the country. 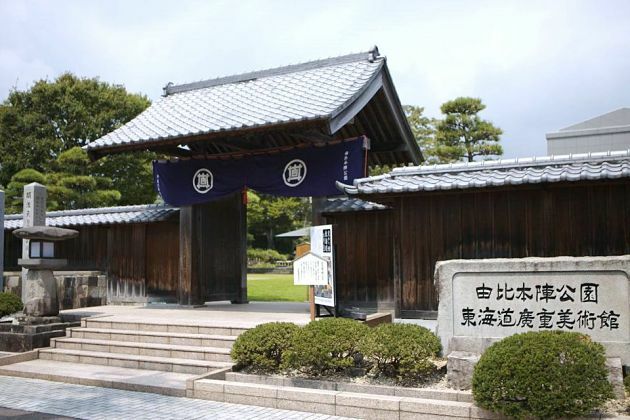 In Shimizu shore excursions, the highlight is Kunozan Toshogu which dedicated to Tokugawa Ieyasu – the leader united the entire territory Japan by putting an end to the long civil war era. 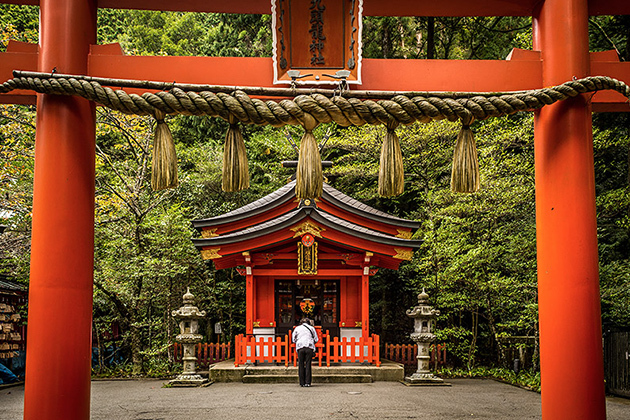 The only way to reach the shrine is trekking through a thousand steps to the mountain which is told to express the piety to Ieyasu. The architecture is well-maintained with many buildings painted bright red in color and decorated with gold accents, valuable carvings, and paintings. Beside the main ground exhibiting swords, armors, clothes along with a drum tower, a copper lantern, and halls, deep in the woods locates the tomb of the ancient leader. This beach is unique with black sand and small rock along the shore side which can highlight your Shimizu shore excursions. 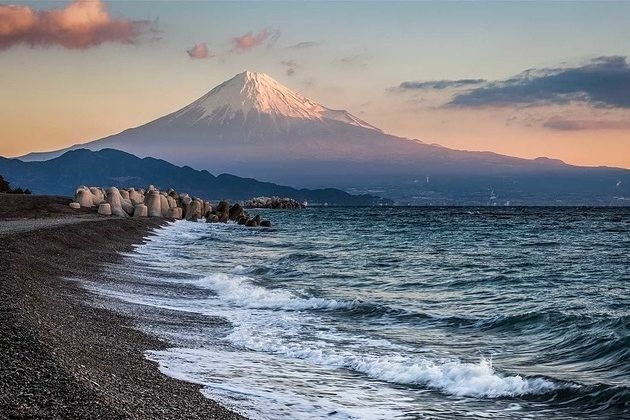 Instead of famous for a nice place to sunbath or swimming, Mihono beach is well-known with the spectacular view over the symbolic Mount Fuji which is considered as one of three most beautiful views in Japan. 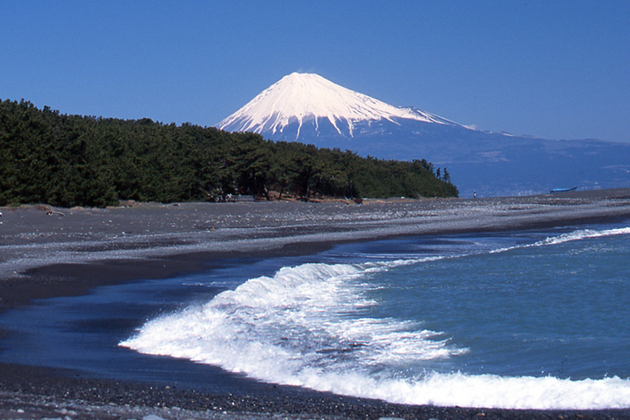 The mountain far away topped with pure snow is highlighted in the pattern of black sand beach created by crushed lava. Mihono beach is also specialized by the line of pine trees with a popular legend. Locals said that once a fisherman saw a robe hanging on the tree which belongs to a heavenly maiden. This sacred tree now has the age of over 650 years old and serves as the guardian of the Japanese sea. 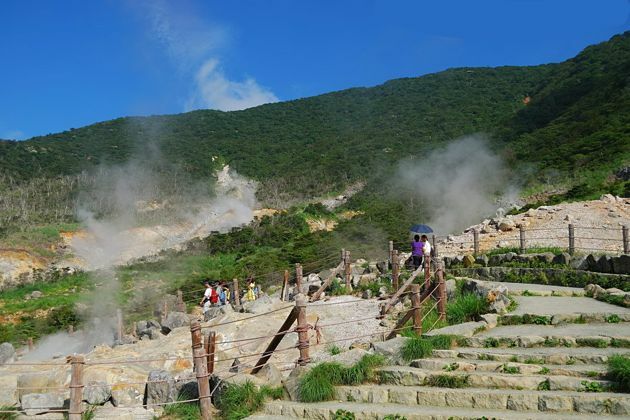 In Shimizu shore excursions, Owakudani is not a normal valley. The area is formed by the eruption of Mount Hakone over 3000 years ago which still active nowadays with a lot of interesting things to explore including sulfurous fumes, hot springs, and hot air radiating. Standing on the valley, you can admire the view over Mount Fuji with suitable weather. After a ten-minute walk through the trails from the ropeway station to reach the volcanic area, your eyes can catch the sight of various stream vents and bubbling pools. If you are hungry, sample some special eggs cooked in the naturally hot water with the black shells caused by the sulfur. Eating them is said that add your life seven years longer. 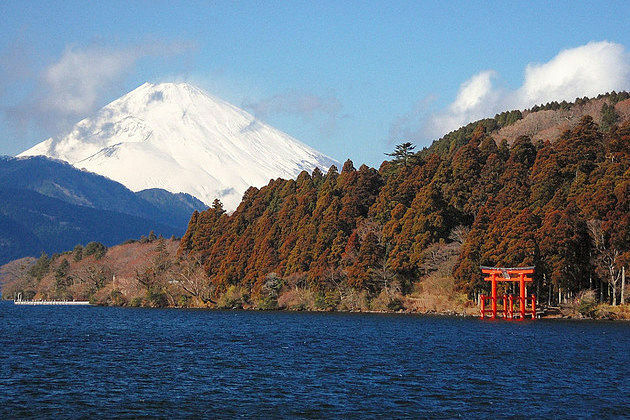 Also created by the last eruption of Mount Hakone, Lake Ashinoko is always on the top of must-seeing attractions in Shimizu shore excursions with those who love the natural landscape. The first impression in the lake is Mount Fuji serving as a wonderful background behind far away. The shore along the lake is lined up with small undeveloped towns. Moreover, the torii gate with red color highlights the lake's gentle water. Right to the name, Tokaido Hiroshige Art Museum exhibits thousands of valuable woodblock prints of Utagawa Hiroshige. He is a 19th-century artist who is well-known for painting ukiyo-e – the unique kind of art using soft brush strokes to reveal the Japanese daily life through beautiful landscape, flowers, birds, and people inspired by European artists, especially Vincent Van Gogh. The most famous artworks is a series of The Fifty-Three Stations of the Tokaido.